An organization without a plan or at least a planning process is not likely to update its vision, mission, goals and objectives, which means that there is no reliable method for Doers to establish and meet performance expectations other than by gut feeling. If management merely relies on the winds of fate as their guide, they are more likely to run the ship aground. 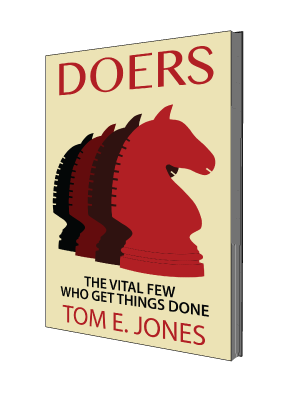 Until that happens, Doers can at least plot a course that accommodates the ever-changing currents in their area of responsibility. An interactive process, like The Planning Wheel, provides direction and determines your future actions. Once a plan is published, your purpose is made known to all those with whom you work. Without a clearly understood and accepted purpose, it is easy to lose the sense of direction. You become confused about what the future holds. The same goes for those whose lead you follow, the coworkers who struggle alongside you, and anyone who looks to you for guidance and direction. The primary reason for making your purpose known is to establish a baseline of expectations that has meaning and can be measured. Doers know that the true challenge of direction setting is to understand that they cannot change something without first knowing its purpose. Once a purpose is defined, it becomes a matter of harnessing the energy of external pressures to work your way through the uncharted waters the lie ahead. As you ponder how best to apply the Planning Wheel to your area of responsibility, think first about how you would complete this statement: The purpose of the unit, section, department, branch, or organization where I work is to _________________________________. If your response came quickly, can be explained easily, and fills you with hope, then you are working in a purpose-driven workplace where the direction is clear and the future holds promise. The Planning Wheel will help you to stay focused as you move competently and confidently toward the challenges that lie ahead. If your response was slow in coming, is difficult to express, and leaves you confused, you are working in a personality-driven workplace where the direction is obscure and the future harbors doubt. The Planning Wheel provides the tools you will need to close the gap between where you are and where you want to be.